Gone are the days when luxury hotels could assume guests would be satisfied with a smile from the receptionist and some insider advice from a long-serving concierge. As major brands battle for business, they’re promoting increasingly niche services and employing staff with highly specialised – or peculiar – skills to set their properties apart and create a loyal customer base. Innovative services can make all the difference in the hotel trade, which has been severely hit by a contraction in business and leisure travel during the economic downturn. Some of these services however step way beyond the bounds of what we consider to be ‘normal’ when selecting a hotel. Here now is our Top 10 of the strangest jobs hospitality professionals have been asked to carry out! At the Peabody Hotel in Memphis, ‘duckmaster’ Anthony Petrina is in charge of what is one of the residence’s main attractions: its flock of ducks. This unique and odd tradition goes back to the 1930s when following a hunting trip the general manger of the Peabody Hotel at the time thought it would be amusing to place some of their live duck decoys in the hotel lobby fountain. The guests loved it so much that it was decided five North American mallards would become a permanent fixture. In 1940, Bellman Edward Pembroke (a former circus animal trainer) volunteered to care for the ducks and was awarded the title of Duckmaster – a position he held for 50 years until his retirement. Petrina continues the job and at 11am each morning, he accompanies the ducks as they march along a red carpet from their rooftop Royal Duck Palace to the marble fountain in the lobby. John Philip Sousa’s King Cotton March plays as the procession takes place and the Duckmaster is dressed in a uniform of red and gold. The procedure is repeated at 5pm, when the ducks return to their palace and retire for the evening – really! Can you select an avocado at the peak of freshness? Do you understand the subtle interplay of salt, lime and roasted garlic? Can you share your knowledge with hungry guests on a daily basis and, when appropriate, help them create their own culinary delights? 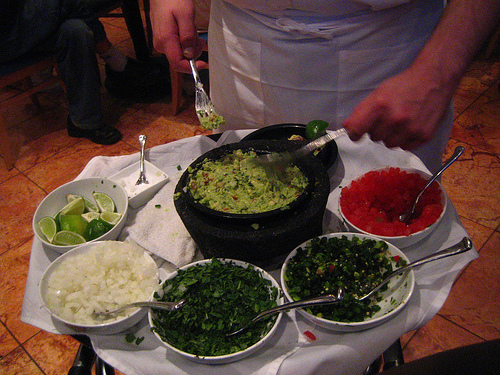 If so, then you may have what it takes to be a guacamologist like Todd Sabo at The Ritz-Carlton, Dallas, who hosts a daily guacamole-making presentation in the lobby. Participants can learn the secrets of great guacamole, taste the results along with mini-margaritas and, with advance notice, don an apron and be a guest guacamologist for a day. Amanbagh Resort in India employs Monkey Men, who patrol the grounds armed with slingshots to keep the monkeys from stealing food. The resident langur and rhesus monkeys have developed quite a taste for the savoury cookies served to guests. 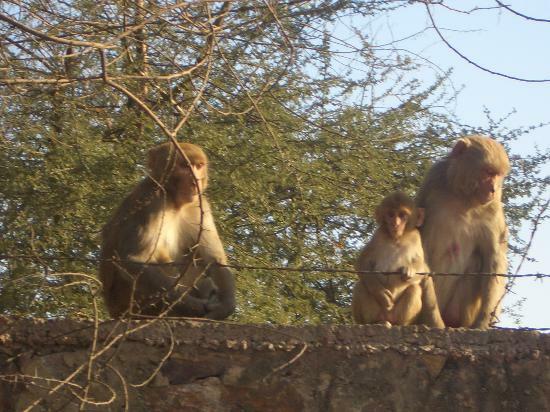 To combat the sneaky little thieves, the hotel employs 4 monkey men who patrol the grounds. Though they are armed, these men have developed a rather ingenious way to keep the locals in check; they have mastered the call of the dominant male, meaning they seldom need to shoot. But don’t worry if they do, it’s just to scare. 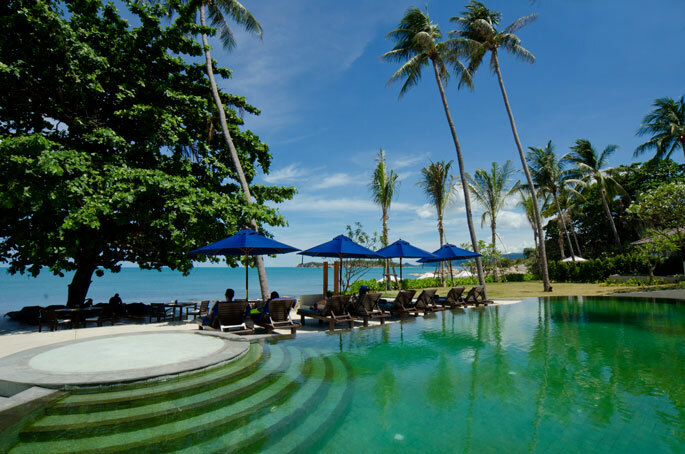 At the Akaryn Samui hotel in Thailand, a female ‘sunbed supervisor’ is on hand to ensure residents don’t get sunburned. Those who avail of her services will firstly be prepped and buffed in the hotel spa – exfoliation and application of signature suncare brands are meant to aid the development of an even, rich tan – before they take to their lounger. The sunbed supervisor will then time guests’ sun exposure, adjust their shade level and reapply suncream after swimming, or whenever needed, to ensure they tan to a satisfactory level. Those with an aversion to sunbathing may instead prefer cosying up in a room in the Taj Boston. 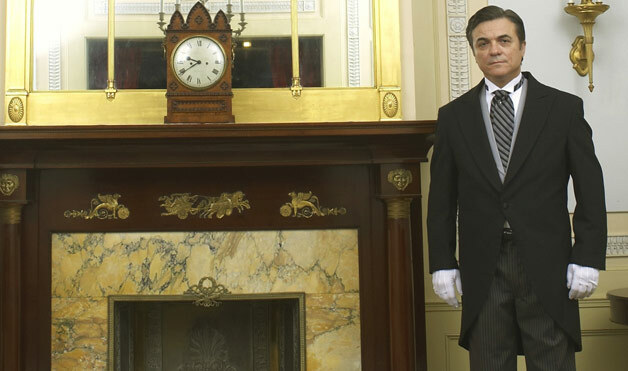 During the colder months, a ‘fireplace butler’ is available to ensure guests make the most of their suites’ fireplaces. Described, grandly, by the hotel as ‘wood sommeliers’ these butlers can suggest what type of woods are best from the hotel’s dedicated wood menu, and will of course light the fire if required. The chain is expanding the role and fireplace butlers are now available to assist guests at the Taj Palace Marrakech, although presumably there’s less call for the service there. Fairmont Vancouver Airport is a popular way-station for Americans returning from the posh fishing lodges of British Columbia. Not surprisingly, perhaps, some of those guests check in with rather large, potentially odiferous “souvenirs.” Enter Harvey Makasa, the hotel’s resident fish valet, who relieves those guests of their salmonid burdens, stores them in a 575-cubic-foot freezer and retrieves them when it’s time to check out. Along the way, he’ll typically inquire as to the size of the fish, information that is entered into the hotel’s Biggest Catch contest. 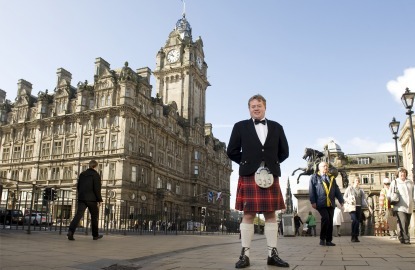 Likely popular with American tourists eager to trace their lineage, the services of ‘tartan butler’ Andy Fraser, an employee of The Balmoral hotel in Edinburgh, have recently been made available to guests. He assists them in tracking down their family tartan from the thousands of traditional recognised tartans using the Scottish Register of Tartans and can arrange for a kilt to be made in Edinburgh’s most established kilt shop, Kinloch Anderson. The Holiday Inn Kensington Forum hit the headlines a few years ago with the introduction of a Human Bed Warmer service. On request, a member of staff dons a special head-to-toe suit and hops into guests’ beds for five minutes before they retire for the night, moving around under the sheets to create a nice and cosy sleeping environment. Meanwhile, the Hotel Andaz in London has also taken customer care to a new level with its bedtime story service. Guests – no matter their age – can call for a Bedtime Storyteller to come to their room and read them the book of their choice. Picture this: You’re sitting poolside and you suddenly notice a loose screw on your Gucci sunglasses or that your Serengitis have gotten badly smudged. That’s no problem at the Four Seasons Resort at Manele Bay, where a staff member named Dr. 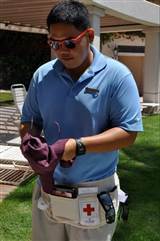 Shades is on duty to clean lenses, tighten screws and otherwise ensure guests’ eye wear crises are resolved. You’ll find him poolside 11 a.m. to 3 p.m. — he’s the one with the Dr. Shades shirt, apron/tool belt and medical bag — unless, that is, he’s dealing with a more serious issue that requires his attention elsewhere. Not to worry, though, since the good doctor always has loaner pairs on hand! Other favourites that didn’t make our list include a coin washer at the Hotel Westin San Francisco who is in charge of keeping money clean – a tradition that dates from a time when women wore white gloves, and a Coconut Safety Engineer at the Ritz-Carlton St. Thomas – go figure? Have you come across any other strange tasks asked of hotel employees? Do tell! Design Restaurants is your online guide to the most discerning restaurants offering unrivalled benefits when you become one of our club members. Find out how to join at www.designrestaurants.com and download our mobile phone app for free!